So why is it that when it's your turn to take a solo everything just seems to fall apart? I mean, sure, you can get some of your licks out... but does it really sound like a solo that builds and moves and makes music? Or does it sound like something a lot more erratic and shaky and uncertain? Do those licks jump out and grab your audience (even if that audience is just you) or do they just sort of flounder out there leaving you wondering what's supposed to happen next? It seems an awful shame doesn't it? I mean... like most people, you probably believed that if you learned those cool licks, you'd be able to play a cool blues solo. So why doesn't it work that way? Quite simply, there's just more to it than that.... quite a bit more. And most people simply aren't in any position to try and teach you what you need to know. In fact, only a handful of guitarists can hold a candle to Steve Trovato. And aside from his playing ability (which is impressive in its own right... just listen to any of his solo albums or albums he has played on,) Steve is uniquely qualified to teach blues soloing because it's what he has devoted most of his life to doing. 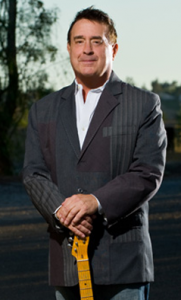 Aside from being a Senior Instructor and both the University of Southern California and Musician's Institute in Hollywood, Steve has authored dozens of books and video lessons for major publishers like Hal Leonard, Alfred, Truefire, and others. And many of those books and videos have been on the subject of blues soloing. So then, if Steve has done so many blues soloing courses over the years, why do another one? What makes this one different? Quite simply, this is the first time Steve has had the luxury of time to go "all in" and really dig deep into what makes a blues solo something special. Those are the kinds of solos that people remember and those are the kinds of solos that keep you inspired to play and then play some more because it just sounds so good. And up until now, Steve's lessons have had to be fairly short. They usually consisted of a Guitar magazine article, or 1 DVD or 1 VHS tape or 1 book.... hardly enough time to really get to the heart of the matter. So when Steve and I started talking about him coming to my studio and doing a course for you, the first thing he asked me was how long he had to cover the material. "As long as it takes," was my reply... and you should have seen him light up. And from there we spent a few months going back and forth sharing ideas and talking about what was exactly the best way to put together a course on blues soloing that would incorporate many of the most classic blues licks of all time... and yet still cover how to put them together and mold them and shape them into a solo that is uniquely yours while still being firmly rooted in the traditions of the blues. And the result, is Building A Better Blues Solo. Learn the ins and outs of the 5 most common blues feels – slow blues, shuffle blues, jump blues, straight midtempo blues, and straight fast blues. You’ll never get caught off guard no matter what tune comes up. Get classic licks used by guitar legends like Stevie Ray Vaughan, BB King, Albert King, Chuck Berry, Brian Setzer, Jimi Hendrix, Roy Buchanan, Robben Ford, and more. Discover how to place your licks perfectly in the beat for that “in the pocket” sound that makes your solos stand out even when they are easier to play. Use Steve’s trademark “1 X 12” method to create longer solos with fewer licks… and as a bonus they sound better and connect with your listener better. Discover how to weave the major and minor blues sounds together in your licks to outline the chord changes and sound more sophisticated with very little effort. Learn how to use common, every day chord shapes as the basis for your licks. Knowing this trick makes it ridiculously easy to change keys whenever you need. 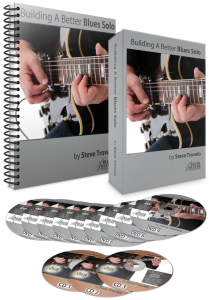 Get Steve’s “secret sauce” for that BB King style killer vibrato. Learn the coolest “guitar sounds” found in solos by SRV, Clapton, Albert King and others. They aren’t really licks, but you hear them all the time. Steve will de-mystify them all for you and show you step-by-step how they are done. How to put the licks you know, and the licks Steve will teach you, into a full solo that covers several choruses. Get no less than 68 killer blues licks and 5 complete solos transcribed note-for-note in standard notation and TAB. Discover how to use “neighbor notes” around a chord shape to create incredible licks from nothing but your average every day C chord. 9 DVDs, 3CDs, and the 134 page printed and spiral bound manual are included. Because, let’s face it, do you really need another one of those? Building A Better Blues Solo is different because it takes on the 5 most common blues feels, one at a time. Because, let's face it, do you really need another one of those? Shuffle Blues like Pride & Joy, Sweet Home Chicago, Let The Good Times Roll and hundreds more. Slow Blues like Stormy Monday, Texas Flood, 5 Long Years and many others. Jump Blues like Shake, Rattle, And Roll, Rockin' At Midnight, Roll Baby Roll and more. Straight Fast Blues like Johnny B Goode, House Is Rockin' and others. Midtempo Straight Blues like Mustang Sally, Born Under A Bad Sign, and more. And a lick that works great for a midtempo straight blues is probably not going to fit right into a slow blues tune. Likewise you wouldn't take a shuffle lick and try to shove it into a straight fast blues... it just won't work more often than not. But by breaking down the blues into these 5 key feels, Steve is able to take you through a bunch of classic licks in that style. And while that would be cool enough on its own, he also shows you how to change to any key and work with the timing to get it right "in the pocket" and grooving with the band. Not only that, but Steve utilizes his concepts of repetition and the "1X12" to expand the licks across the entire 12 bar blues progression. With this concept alone you will be getting so much extra mileage out of each lick that you'll find yourself playing all day long on just a handful of the 68+ licks in this course. 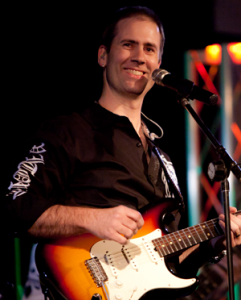 And finally, after going through classic licks in the style of blues legends like BB King, Stevie Ray Vaughan, Buddy Guy, Albert King, Freddie King, Chuck Berry and more, Steve will show you how you can put them all together by demonstrating an actual complete solo using the ideas and concepts he presents throughout each section. Of course, every single note is written out for your in standard notation and TAB so you will know exactly what note Steve is playing every step of the way. Being able to summon the spirits of the blues legends in your solos whenever you want… when you want an Albert King lick, you’ll have one. When you want to sound a little more SRV, you’ll have one of those too. Being able to play solos in nearly any tune that gets called, whether you’ve ever played it before or not. You’ll be able to just jump up on any bandstand at any open jam night and hang with the best of them! Give Building A Better Blues Solo a try. Get your copy today and put it through it’s paces for a full 365 days. … and you don’t even have to send the course back to me. Building A Better Blues Solo is a thorough and comprehensive course on blues soloing and really taking it to the next level. A semester of studying with Steve at USC is well over $25,000 now (I know, I’m still paying mine off 15 years later) and Musician’s Institute is at about $19,000 per semester. So even 1 year of studying with Steve privately would run you somewhere in the neighborhood of $40,000 at a minimum. And even if you could get some private lessons with Steve outside of school (which you can’t) it would run you at least $100/hour plus your drive time and sanity. 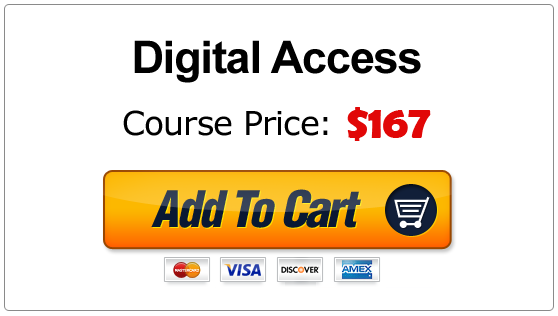 To go through the material in this course would run you a minimum of a year which is $5200 at least. 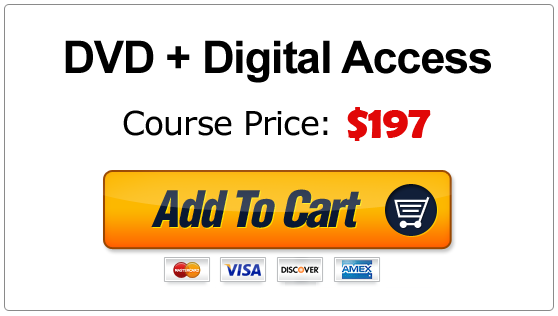 Heck, this could be a $997 course and still be a steal. 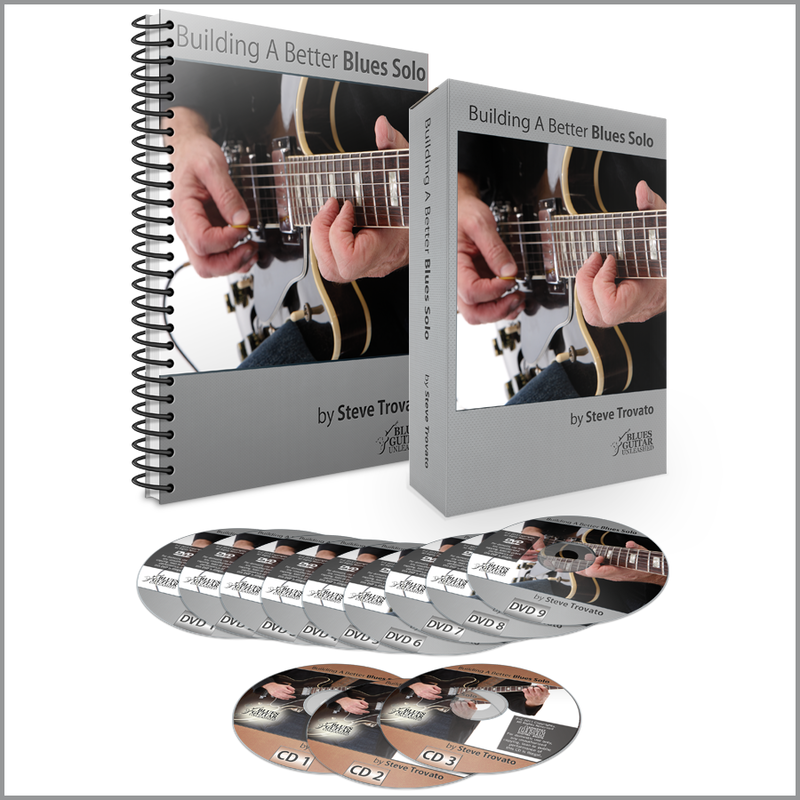 You can get access to the complete Building A Better Blues Solo today for just $197. To get your complete copy of Building A Better Blues Solo just click the yellow “Add To Cart” button below with your preferred delivery method. Just as soon as your order is complete you will receive an email with your access instructions to the secure Member Portal so you can be transforming your blues rhythm playing from boring to killer in just a few minutes from now! Remember, you have a full 365 days to try Building A Better Blues Solo and if you’re not totally happy with it just let us know and you’ll get a fast and friendly refund. And you don’t even have to send the course back… there’s truly no risk at all to you. But the quantities of this course are limited and I truly have no idea how long it will last or whether or not there will ever be more. So if this course sounds to you like just what you need to get out of that rut and make your blues solos really sing then get your copy today.